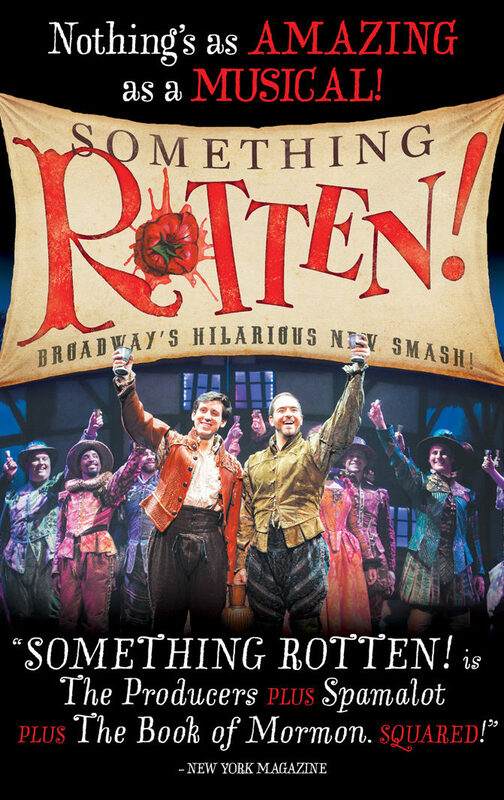 With its heart on its ruffled sleeve and sequins in its soul, Something Rotten! is “The Producers + The Book of Mormon x The Drowsy Chaperone. Squared!” (New York Magazine).